Philips Hue, the new smart LED light bulb capable of connecting to your home network and intelligently automating your home, has gone on sale on the US Apple Store, costing $199.95 for a three bulb starter pack. Yesterday, we announced that the lighting product was to hit Apple Stores exclusively, shipping today with a bridge that connects the bulbs to your wireless router (and with each other) using the open ZigBee Light Link standard. 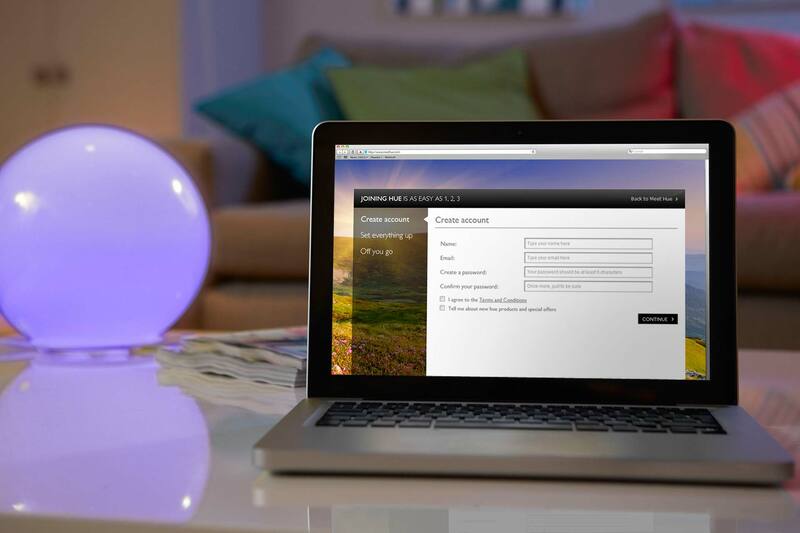 Once connected, the bulbs can be set up in minutes to link with the Hue smartphone and tablet apps. Using the apps, users can personalise their lighting settings, program times and utilise “LightRecipes” which can match the mood of the house or the room at a specific time. Philips Hue supports up to 50 bulbs, integrates with both iOS and Android devices and offers up to 80 percent less power than a traditional bulb (lasting as long as 15 years or 15,000 burning hours). Apple is yet to list the Hue products on its European websites but we imagine that it will only be a matter of time until they appear. Once the starter pack has been purchased, each additional bulb will cost $59.95.